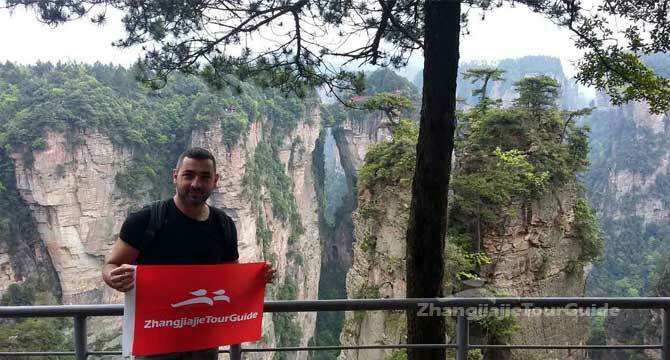 Arrive at Zhangjiajie Hehua Airport, where you will be met by your tour guide. 09:00 am, drive to Zhangjiajie National Forest Park. We will ascend the Yuanjiajie Mountain by the Bailong Elevator. On the summit, you will take about 2.5 hours hiking to discover the famous Hallelujah Mountain, the Platform of Forgetfulness, the No. 1 Bridge under Heaven, and so on. Afternoon, climb up the beautiful Tianzi Mountain Nature Reserve to enjoy the breathtaking view of the sandstone peaks and pillars. Later, take the cable car down the mountain to explore the picturesque Ten-mile Natural Gallery (mini train is optional). 09:00 am, you are picked up to enjoy about 2-hour hiking along the beautiful Golden Whip Stream. Then move to explore Zhangjiajie Grand Canyon, which is known as the landform museum of Zhangjiajie. One of the highlights in your canyon exploration is a challenging walk on the most terrifying glass bridge in the world - Zhangjiajie Grand Canyon Glass Bridge. Drop off at the airport.